This article is not about why the Penguins can or can't win. It does not include any good stats or fancy information. It is, instead, an article about believing in the impossible. Not because it may or may not happen but rather because that is sometimes what we need. We all need to imagine the idea that things that are not likely to happen can and will. It is what gets us by. 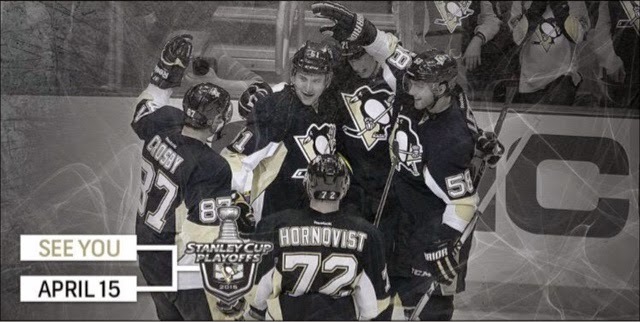 With that said, I need to believe that the Pittsburgh Penguins can win round one against the Rangers. Crazier things happen everyday. There is literally no reason to believe this and no stat proves other wise but there is something so "feel good" about the story of the underdogs coming through in clutch moments. A few people will read this and role their eyes. And that is okay. No amount of arguing will change my mind. I know what the numbers say. I have watched the Penguins on this rapid downfall. I have no bias in me that does not allow me to see the reality. Lecturing me about it won't help. I simply have the imagination to believe that the impossible can happen. Life is more fun that way. Give yourself the chance to believe it's possible too. Makes it a lot more exciting. And don't stop believing.